Court-ordered spousal support or alimony payments. You calculate your net income by subtracting these deductions from your gross income. You then plug your net income into the child support guidelines formula provided by section 61.30, Florida Statutes. 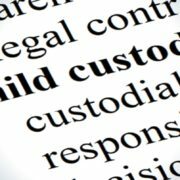 If you are facing a child support case and you are looking to retain a family law attorney in Tampa Bay, schedule a consultation with The Law Firm of Adam B. Cordover, P.A., by calling us at (813) 443-0615 or filling out our contact form. This guide will give you the specific step-by-step strategies you need to protect your children and yourself.